Provides advanced claim and medical technology to promptly handle and fairly resolve workers compensation claims. Can be written on a monoline basis! RLI's Home Business policy provides affordable coverage for home-based businesses that a typical homeowner's policy excludes. Studying Abroad is Not Without Risk. Are Your Educational Clients Prepared? Don't let a class trip or study abroad opportunity turn into an expensive lesson for your client. More than 100,000 Americans study abroad each year. Things usually go smoothly, but what happens when they don't? When the world is your classroom, reducing the risk associated with studying and teaching outside the U.S. is paramount. Educational institutions that sponsor such programs leave themselves open to a host of exposures associated with the uncertainties of overseas travel. International liability insurance and travel assistance programs are a must for schools that sponsor study abroad programs and trips or have employees and faculty that travel or live outside of the U.S. for job-related reasons. Scenarios like those below happen every day. An American college student trips and falls while studying in Ireland, resulting in spinal cord injury. To receive proper medical treatment, she is medically evacuated to London. Total repatriation cost exceeds $30,000. International Advantage pays repatriation costs under its Executive Assistance® Services. A chaperone traveling with U.S. students causes an accidental fire in the German youth hostel where the group is staying. Significant damage results. International Advantage responds to the damages under the Commercial General Liability portion of the policy. An American student studying in London exhibits symptoms of appendicitis. Seeking medical help at a local hospital, she is informed that patients must pay cash in advance. The Executive Assistance® Services package of emergency medical, travel and security assistance services found within the International Advantage policy. Available around the clock, it provides access to English-speaking representatives who understand the region's cultures and customs. Prior to traveling, employees and volunteers can learn how to avoid potential risks associated with their destination. International Advantage® understands the risks associated with global travel and has designed an exclusive foreign package policy that is comprised of comprehensive coverage enhancements specifically tailored to educators. Our experienced underwriters, presence in over 50 countries, and our knowledge of local jurisdictions, make Chubb the ideal partner to provide risk management solutions for your educational clients. Your clients are going abroad. Don't let them go without you. International Advantage® Edge for Educators is available in all states. Learn more at Big "I" Markets or contact Brandon Boyd (302-476-6203) brandon.boyd@chubb.com. Regardless of how comprehensive and well-planned your overall crisis response strategy may be, without the ability to communicate both effectively and consistently with all stakeholders, the recovery will fail before it even begins. Join IIABA's endorsed provider of disaster recovery solutions, Agility, for a complimentary webinar session on crisis communication planning. In this session Agility will detail the basic fundamentals of a solid crisis communications strategy, including internal and external communications, alert notification, media relations and best practices for crafting the messages used during a disaster. Due to the constant evolution of communications methods, the global nature of media and revolutionary new tools available, this aspect of your overall crisis response plan may be fluid over time, but it will always rely on some fundamental elements that must be in place before the next crisis arrives. Don't miss this opportunity to get your plan in place. Join Agility Wednesday, June 29th, 2016 from 2:00 PM to 3:00 PM EDT for the Designing a Crisis Communications Strategy webinar. Custom made, or designer jewelry can be anything from a simple relatively inexpensive piece to multi-million dollar works of art. Fine jewelry includes pieces manufactured by the big old-name designers such as Harry Winston and Cartier as well as newer up-and-comers such as Anita Ko and Jennifer Fisher. Several of the last century's most fashionable women had large collections, which were often sold after their death. In 2014 Elizabeth Taylor led the list of the 10 most expensive jewelry collection auctions at a mere $137,235,575 including a nearly $12 million pearl necklace. The value of a piece of jewelry can vary depending on for what you need a price. The sale price can't be depended on either as pieces can be undervalued by the artist. Covering jewelry at the right amount requires expertise in the field, which is exactly what you can expect when working with Big "I" Markets to access Crown Coverage's Valuable Articles markets (personal & commercial) written on AXA Insurance Company paper. In this session Agility will detail the basic fundamentals of a solid crisis communications strategy, including internal and external communications, alert notification, media relations and best practices for crafting the messages used during a disaster. 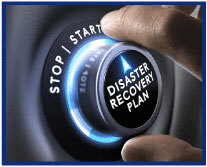 Don't miss this opportunity to get your plan in place. How Far Off Is Success Really? Recently there has been a lot of press on flood insurance, notably last Friday on NPR's All Things Considered: "Lawmakers To FEMA: Flood Plan Overhaul Is 'Too Little, Too Late'." The gist of the article left me with some unanswered questions on the analysis but on looking at industry data in trying to make sense of the author's profitability conclusions, I was struck something positive. I'm always astounded how well federal flood insurance works and for how long it has worked. 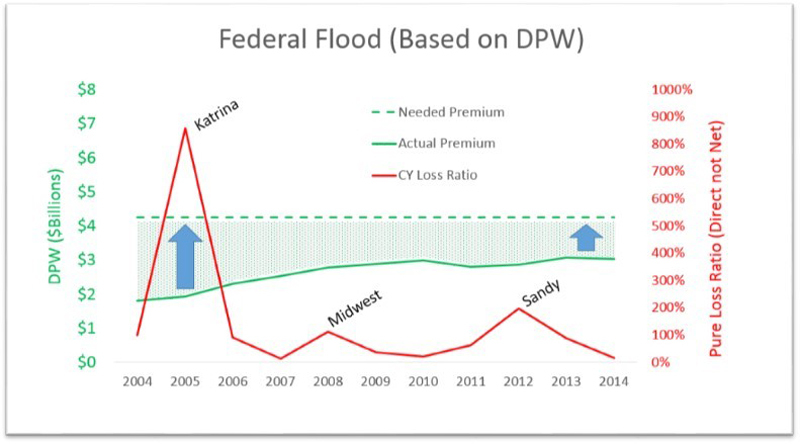 Lost on many outside our industry is the idea that the insurance industry does an impressive job on delivering what insurance text books would tell you is IMPOSSIBLE: Flood insurance lacks "independent exposure units." That is, with this loss exposure if there is one loss, there are many losses. Of course, given the reality of the challenge of flood insurance, the federal government stepped in and it insures the losses and it uses the services of about 30 insurance companies to manage losses. Few consider the alternative of a federal disaster workforce large enough to handle the next major hurricane sitting idle between catastrophes as a viable solution. There were issues with loss adjustments in Hurricane Sandy but considering the challenge, would a government workforce have been better? We'll have to wait and let Congress decide. On the positive side, let's not lose sight that progress that has been made. We landed a functional vehicle on the moon. Is some sort of sustainable and functional disaster insurance approach harder than that? When one considers the potential of catastrophe bonds and the capabilities of U.S. insurance industry, I am optimistic a solution that can bridge the gap. Below is a graphical representation of how close we are and, also and importantly, the fact that we are getting closer. Consider in the last 11 years we have had Katrina, long-term and widespread Midwestern flood and Sandy and we are only the green shaded area short of something the insurance industry would provide coverage for on its own? You can draw your own conclusion but it's more than half-way there and getting closer. Source: : A.M. Best Aggregates & Averages, Industry By Lines Direct Written Premium and Loss Ratio (note, loss ratio above does not include loss adjustment expense or LAE). The above consideration of "needed premium" (shaded green and blue arrows) is a general one. What is shown is $4.25 billion in premiums as needed to cover the insured loss exposures since 2004. That is based on the average losses over past 11 years plus 3.6% LAE increased by the approximately insurance industry expenses of 30%. The answer to last week's puzzle on the mathematics of claim cost inflation are based on the combination of Frequency and Severity and the result in claim costs increasing. Total claim cost increases result from the product of Frequency change (expressed as how 100% would change) and Severity (expressed the same way or "1" + the percent change). In our example severity was assumed to increase by 3.141592%. The question was what would frequency have to increase by to result in total claim cost increases of 6%. Some of you identified the number as a truncated version of pi. There is not significance to that choice beyond it makes for a long number so it was easy to see if you got the right answer. Below is the answer, which required some algebra to get the exact answer. P.S. I can't possibly discuss flood without encouraging you to check out our very own Big "I" Flood program. Visit www.iiaba.net/Flood to learn more about our WYO program with Selective. Congratulations to our agent in Texas on a valuable articles sale of $3,732 in premium!